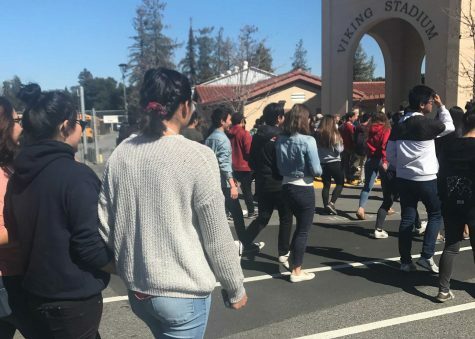 Meredith Gyves and Jack Phillips hold up a flag from Gyves’ time as a student at Palo Alto High School. Gyves attended from 1966-69, and had Phillips as her English teacher senior year, before returning as the Work Experience teacher. “Once a Viking, always a Viking,” Gyves said. Photo: Angelina Wang. From the outside, Meredith Gyves and Jack Phillips look as though they have been good friends for a long while. 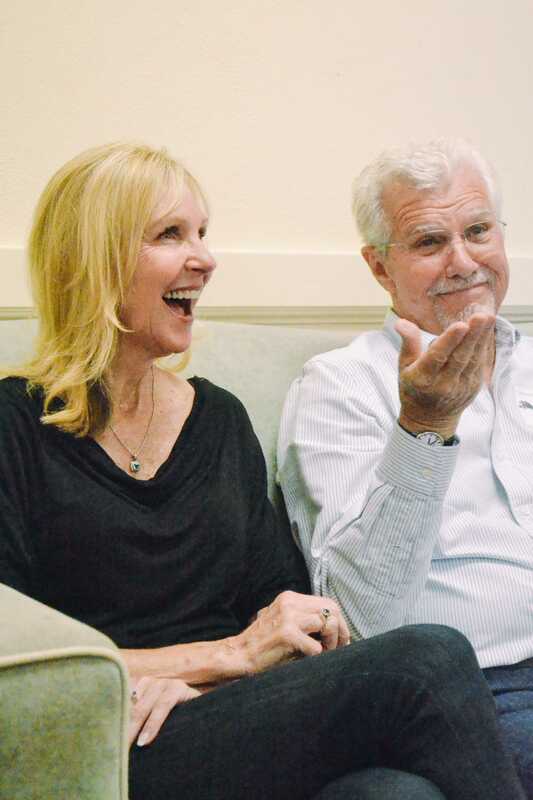 They laugh and tease each other as old friends do, while reminiscing about Palo Alto High School back in the 1960s. 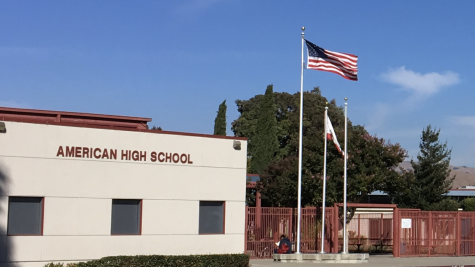 Although Paly is where they met, their relationship did not begin as a friendship, but rather as a student-teacher relationship. Gyves was a high school student, and Phillips was her English teacher senior year. 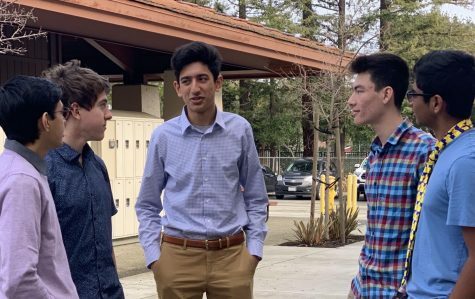 Gyves, the Paly and Gunn High School Work Experience teacher, is retiring this year after teaching for 45 years, the last 17 of which were at Paly. Gyves also attended Paly herself from 1966 to 1969. Gyves said she chose to teach this last year of her career on the second floor of the Tower Building in Room 28, the same room in which Phillips inspired her to pursue education as a career. “It was in this room that I decided I wanted to become a teacher,” Gyves said. 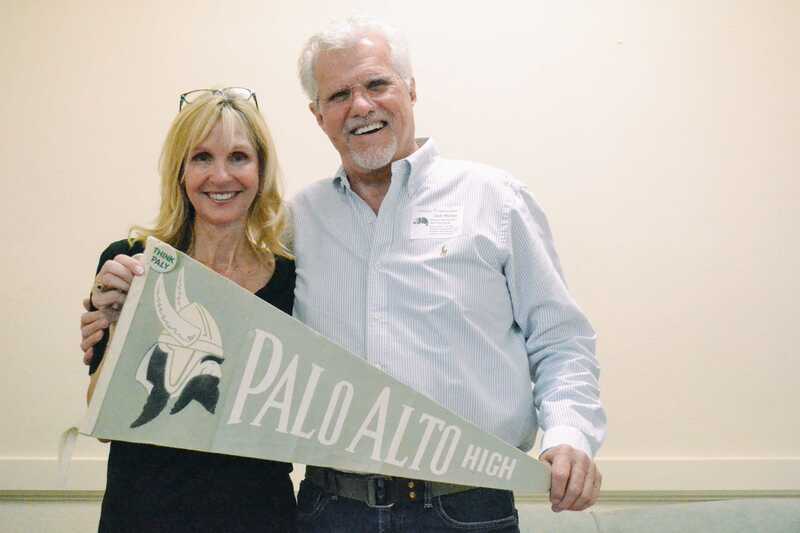 The Paly Voice sat down in this special room with both Gyves and Phillips to chat about Gyves’ high school experience, her love for Paly, and her plans for retirement. 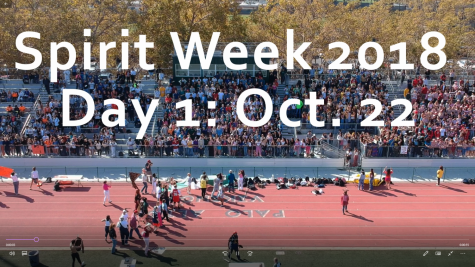 As a student at Paly, Gyves was involved in extracurriculars from the social planning committee to the cheer team. She balanced after-school activities with challenging classes, and often sacrificed sleep to study. Aside from school and sports, Gyves had a wide circle of friends and a long-term boyfriend. 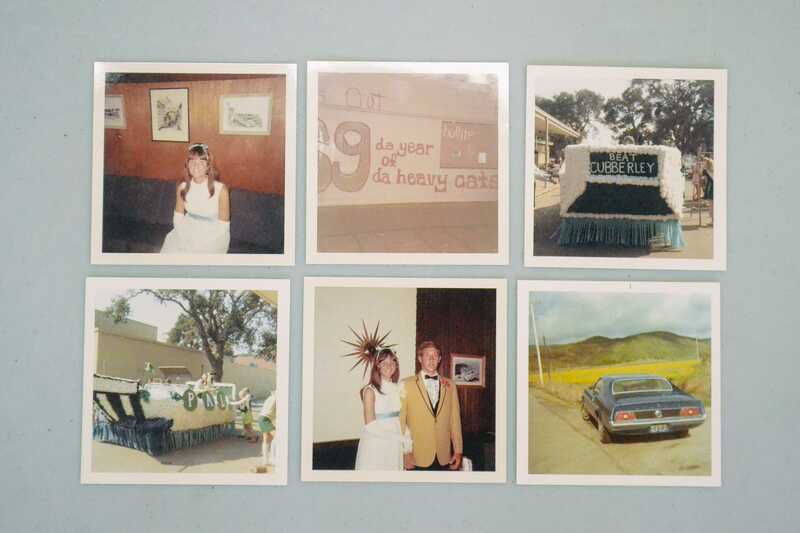 Gyves shares her photos from her time at Paly, including snapshots from Prom and Spirit Week. Gyves had many fond memories of high school, including a winter talent show. “The teachers put on at Christmastime a talent show, and that always stayed in my mind,” Gyves said. Photo: Angelina Wang. Phillips said that although Gyves was a “dancy, bouncy, pom pom” girl who did not display a studious persona in high school, he recognized that she had intellect. Though she had not yet decided on teaching as a career, even in high school, Gyves knew she wanted to give back to her community in the future. However, senior year in Mr. Phillips’ Shakespeare English class, Gyves began to realize her passion for English and teaching. After attending the University of Arizona to obtain both her bachelor’s degree in political science/anthropology and master’s degree in secondary education, Gyves worked in Arizona, Irvine, and Santa Rosa for a number of years teaching. She has incorporated the values that her own teachers, like Phillips, have instilled in her into her own classroom. She recounted confessing to Phillips that she had skipped his class to go to the beach one day. When Phillips asked why she did not lie about where she had been like her friends, Gyves said she wanted to tell the truth. 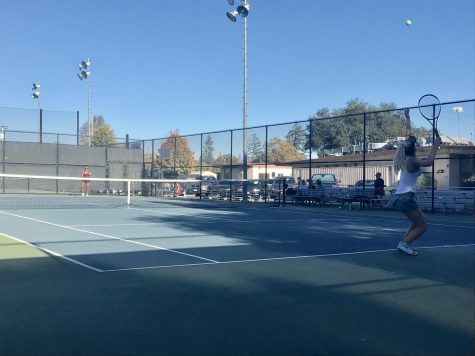 Because of her love for Paly, Gyves returned to the Palo Alto area 17 years ago to finish her career. Both Gyves and Phillips enjoy teaching, though Gyves is about to retire, and Phillips volunteers at a school now. “When I get together with Meri [Gyves], I realize just how important Paly is to me, ” Phillips said. “It’s a wonderful school, I so lucked out by spending my entire professional career here.” Photo: Angelina Wang. 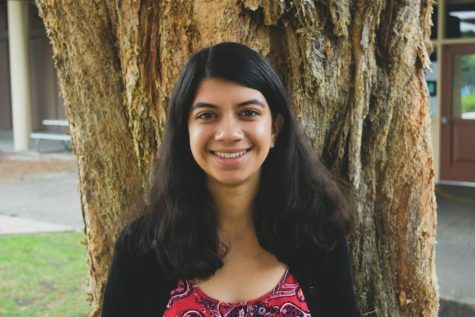 According to Gyves, her history at Paly, her love for teaching and the many memories of her friends and teachers will make it hard to leave. Although she will miss her colleagues when she leaves, Gyves said she will miss her students most of all. “They make me laugh everyday,” Gyves said. 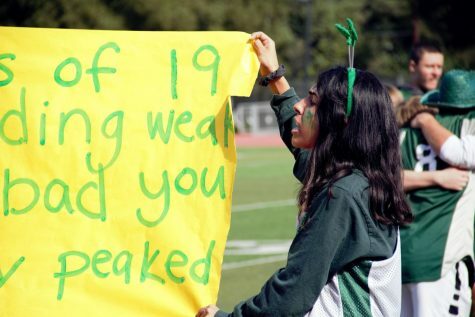 After the many years Gyves and Phillips have spent at Paly, both know of the stress that plagues students. 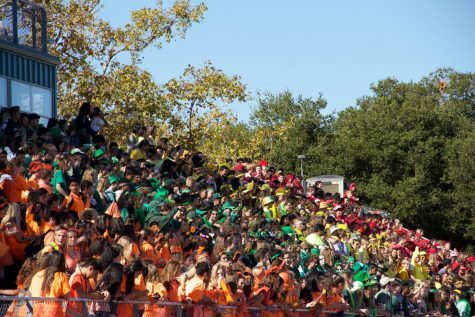 Phillips, who worked as a guidance counselor at Paly before becoming a teacher, recognizes that Paly’s environment can take a toll on students. Despite the academic pressures, Gyves urges current students to make time for themselves in high school. 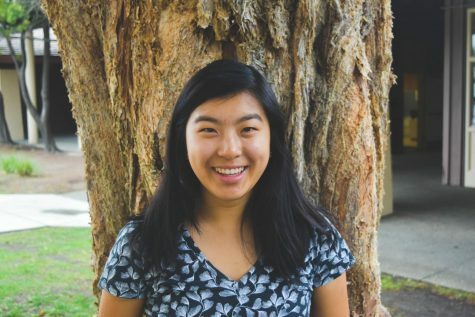 After Gyves retires, she plans to move out of Palo Alto, but still wants to maintain her connections to Paly. 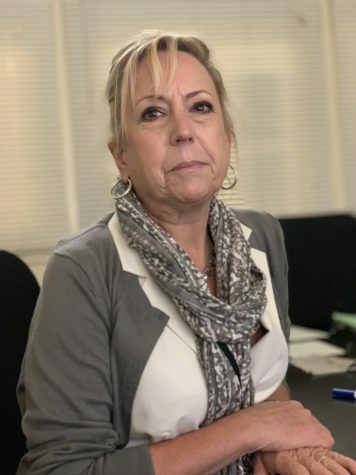 Gyves plans to help students with college readiness and the interview process as well as travel and spend more time with her daughter, who lives in Beverly Hills.